Two readers have contacted me in recent days to say that they have been told by the American Express call centre that imminent changes are coming to the way sign-up bonuses are earned. The two stories are contradictory. It doesn’t really matter which is correct, however, as the end result in both scenarios is worse than the current requirement to leave a six month gap between cancellation and re-application. If you are planning to cancel a card this month with a view to reapplying later, you may want to hold off. There may be no point in cancelling if you do actually want to keep the card long term. If you are planning to re-apply for an Amex card which you have had in recent past, you may wish to re-apply sooner rather than later. You may not be eligible to receive another bonus if the rules change. Let me stress that this is all speculation and that nothing has been officially announced. 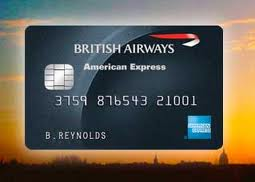 Separately, a third reader was warned by the Amex call centre that the free British Airways Premium Plus card currently given to long-standing American Express Platinum cardholders is being withdrawn. This feature was stopped for new Platinum cardholders a few years ago but many readers – including myself – still benefit from it to the tune of a £195 annual saving. I should note that I only have one data point on this and Amex call centre gossip can often get confused as it passes down the line. Tesco announced a pile of changes to the Clubcard scheme yesterday. We have covered these in detail on Shopper Points today – click here. We covered them for The Guardian as well – see here. In general, the changes are bad. Some little-used ‘two times’ deals will now give 3x face value, but a lot more deals which used to give 4x face value are dropping to 3x. This mainly impacts restaurant and days out vouchers. You have also gained Uber and hotels.com as new 3x face value redemption partners this year. Uber is now my preferred redemption as we use it heavily and it is a genuine ‘3x’ value. If I took Avios instead I would be giving up £3 of Uber for every 240 Avios I earned which means I would be ‘paying’ 1.25p per Avios – and I don’t value them at that. To do this without ANY notice at all stinks, however. It particularly stinks that we are just 9 days from the end of the current Clubcard collection quarter. People have 10 weeks of points locked up inside Clubcard which cannot now be spent at the old 4x redemption rate. Bits: last day for the Qatar Airways sale, Etihad Guest's shock non-devaluation as flights get cheaper! Shame if true. I had just convinced my gal to churn as much as possible this year. She has never held an Amex account before and her PRG application just went thru. I had many other cards on my mind. The Amex call centre people are switched on. You’d be surprised how many emails I get from people who were referred to HFP by the Amex call centre! I am pretty sure there is something going on, but I accept that I would get advance notice so it will not happen overnight. I hope not, I’m about 3 weeks off being able to apply for the Gold card again! This will be bad news for me as churning cards is my main source of points ! Thank you very much Rob! no more churning will mean I no longer use AMEX. the sign up bonuses are a huge incentive – Will avoid due to the £140 annual charge on the gold card and without a viable way to earn AVIOS to make a 2-4-1 worth the £195 there is no point. it will mean plenty of redemption availability for those with lots of avios earned through work but the hobbyist looking to get club world or first flights on the cheap are out of the game. I wonder if there has been any pressure from BA/OneWorld? It would be natural for them to want to limit loyalty perks to the people who spend the most money with them, which is not the same as those who spend most money on Amex cards. I was under the impression that Avios had changed the rules and that – even if there was no WTP cabin – they pretended their was? This is why the BA1 London City ‘all business’ service is now bookable. Rob – I was able to do this using the Avios call centre a few months back – unless it’s changed since then? Avios would not let me use the lloyds voucher on Ba1 from LCY when I called a couple of months back. I hung up and phoned back a few days later and got the same news. When I last checked you can price it up online. Yes – the system charges a notional WTP 40,000 avios each way for using this route. Can I ask a sort of related question here please? With the 10K bonus MR points for a £15K spend on an Amex Gold card, are these only payable if you “renew” (i.e. pay the second year’s membership fee) or if you cancel before then is there anyway of getting hold of this too? Hope that makes sense?! The 10k bonus will be paid a month or so after your anniversary date so you will have to pay the £140 fee (refundable pro-rata). You get the points after 4 weeks. You can then cancel and get a pro-rata refund, so roughly £128 of your £140 will come back. As your Lounge Pass reloads with another 2 visits you may want to keep it for longer until you’ve used those. Wait till the points post around 6 weeks after year end and you get a pro rata refund on the £140 2nd year fee. Erm… does the referrer get the points bonus even if the referred person has had the card within the last 6 months and is ineligible for their own bonus? I had always assumed both bonuses depended upon the 6 month gap, but now I’m wondering if the referrer’s bonus doesn’t since they might not know the situation of the person they’re referring? Valid question. The T&Cs make no mention re: the referred must not have held the card in the past 6 months for the referral bonus to be paid out. I’ve referred MrCate from my plat for a SPG card although he recently cancelled his (Nov I think) and I was credited with 18mr. I guess I am probably in a much lower spending bracket than most people on this site so a change in the rules would definitely hit me hard. I haven’t even been in the churning game a year let either! Been in the game a bit over a year but definitely not a big spender by any means either. This would be very disappointing, but I have had one first class redemption to Mumbai and another soon to New York so I’ll have had my fair share of rewards if it does all change! The continued downward trend on prices for tickets is making reward flights less valuable too. O/T – does anyone have any experience of tight Doha layover times? Booked 2 pax HEL-BKK and the return has a 8 hour and 15 min layover. If I sort the hotel out and then Qatar decide to make the second leg 16 minutes earlier do I lose my hotel? And if so, would oneworld status make any difference? I think once the hotel is booked you’ll be fine. However, for clarity, be sure there is no possible combination of flights which could reduce the gap to less than 8 hours. If there are, you don’t get the hotel. Yes BUT only if that is smallest possible layover. If there is another combo of flights which you chose not to take – perhaps because it was more expensive – that gets you under 8 hours then you can’t have it. It is almost impossible to get it on flights from the UK on Qatar because, with so many daily departures, there is almost always a combo that would have got you under 8 hours. Oh gosh! I forgot about that rule! Out of sheer luck my return is on the Saturday and thats the only flight on that day. If I had booked the Sunday there is a shorter layover of 2 hours. Phew! Yes some have had their hotels cancelled after a flight time change brought them under 8 hours. You might as well try though? Book a refundable hotel for backup if you are worried. It’s worth remembering that they do not offer these reward schemes out of the kindness in their heart. The reason why supermarkets offer these loyalty schemes is so they can keep track of our spending habits to sell us more. If enough people stopped swipping their loyalty cards at checkout or cancelled them, then they may have to rethink about changing the rules to reward schemes that make them less attractive. I’m loyal to Tesco when they allow me to buy £1 of Uber credit for 15p. If BA are concerned about there being too many avios being earned then stop agreeing to 80k+ sign up bonuses on their US cards first! And anyway, surely they would devalue the charts again rather than lower their income to deal with oversupply. anyone else having problems with Amex refer a friend referral link at the moment? Nope. Sent one out this morning va AMEX aPP. Was dead for an hour, now fixed. I imagine they are VERY busy today. This article alone must have spurred a load of applications. OT IHG pricing: My dad and I both got caught out booking Staybridge Suites in Newcastle during the January sale. Headline rates apparently excluded VAT and I did not know anything was amiss until the charge came through on my credit card. Looking at my confirmation it does quote priceper night and total price for stay which apparently inclides VAT. IIRC some law on this requires headline rates displayed to include VAT. Is somebody able to advise if this is correct and which law applies please? I’ve searched the web but am having difficulty pinning the pertnent details down. Unless a product is being advertised exclusively at the B2B market, the price MUST include VAT. As the IHG website is a public site it should include VAT. IHG actually changed its website a couple of years ago because the 5-star London properties were not showing VAT (on the basis that no-one ever used their own money to stay in them) but the VAT people clearly had a word and they stopped. The only possible get-out is that Staybridge Suites is a long-stay brand which is not aimed at the general public. However as they accept bookings from the public and indeed have ‘non-suite’ rooms which can be booked for as little as 1 night that is unlikely to wash. I would complain to the hotel initially and threaten a formal complain unless they reduce your rate to the ex-VAT price. I complained to the hotel about this after a (perfectly pleasant) one Saturday night stay at the B’ham Staybridge in Nov 2015. I got the “Staybridge is a long-stay brand” story; no suggestion that it is “not aimed at the general public”. I quoted VAT rules, but got nowhere. Far too late to do anything about it now. When you mention a formal complaint, do you mean a formal complaint to the hotel, the hotel’s owner, or to HMRC? Or as Annal mentions, the ASA? IIRC there is a special long stay VAT rate of 5% which partly explains why they would quote prices without VAT. However, just looking at the B’ham Staybridge, they are quoting prices as incl. VAT, and the price breakdown for 4 nights it is showing as 20%. I did not make a cancelable booking to see if JamesB’s additonal 20% got added. Later: just tried a dummy 35 night booking. Price is quoted as 106.31 incl. VAT average per night. Rate details then states ” 20% per night not included in rate effective 21 March, 2018 thru 25 April, 2018 VAT”. It is a complete mess!! ASA is a good place to start, but Trading Standards would work too. IHG has a track record of being whacked by the ASA, see the HIX “free breakfast” saga (although I felt sorry for them about that). They got into trouble for saying the HIX breakfast is free and are now banned from saying this. The reason is that, since no-one at a HIX pays for breakfast, you cannot say the breakfast is free …. Russell, see my update below. Check the Bham headline rate today, if it states the price includes VAT at ihg.com (as mine did) then it’s probably worthwhile taking a screenshot and submitting a written complaint if the amount in question is worth the time. “Breakfast is not free, it costs nothing”. Should make that their slogan. I complained to the ASA that hotels.com were not showing taxes on a hotel I use in the Caribbean, which caused some embarrassment at check in. Hotels.com initially refused to budge, but once the ASA got involved I somehow managed to get refunded by the hotel AND hotels.con which I put towards towards for another night at the same hotel this year! Thanks Annal, I called after reading Rob’s comment. They tried to pull the long stay issue Rob mentioned to justify the addition of VAT. After I pointed out the rest tgey suggested I call back after 2pm when boss would be it. It just got more interesting though because I then checked their pricing today and the headline rate is advertised as including VAT. However, working through a dummy booking it later adds a further 20% to the cost but fails to specify what these costs are. VAT is not mentioned anywhere as far as I can see. The same is true on my email confirmation. Successful conclusion to this issue for me, a very polite and friendly guy in the inhouse reservations team agreed to refund the VAT, no hassle at all. I did not get any drama over long stay like the earlier call. I did came across this a year ago while booking a night stay at Staybridge Vauxhall. Apparently that Staybridge is the only hotel in the UK IHG with quoted price excluding VAT. I just booked different hotel instead.